Every construction job needs a bulldozer. This little guy can do any job out there. Your child's imagination will soar with this little guy. It's handcrafted with solid clear Pine. 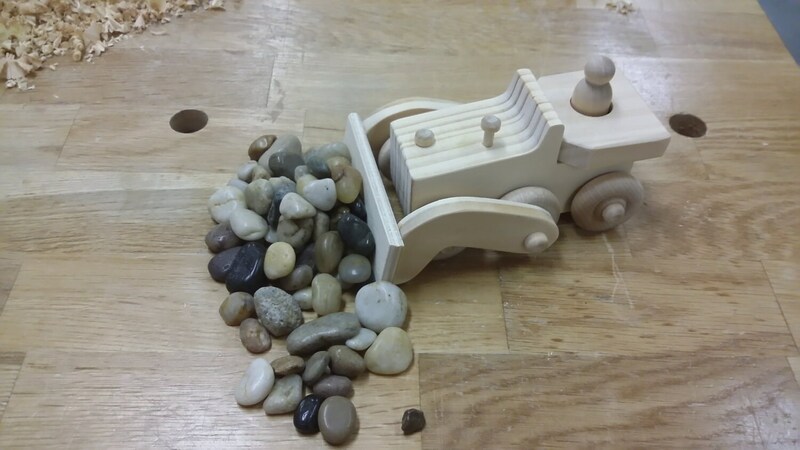 Each wooden toy "Bulldozer" is constructed individually in my shop, rather than mass-produced. This Bulldozer is 5" long x 3-1/4" wide x 2-1/2" high. It's constructed of solid clear pine and is very durable. The dozer blade can be manually raised. All of the wheels turn freely. For information on any of the following, please convo me. If you would like more than one , Please ask for a custom order.I will send you a PayPal invoice which will reflect the total purchase cost and combined shipping cost. See my shop policies about shipping.